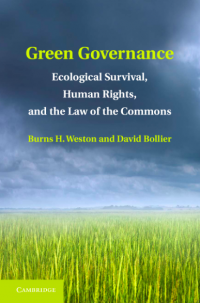 This is the fifth of a series of six essays by Professor Burns Weston and me, derived from our book Green Governance: Ecological Survival, Human Rights and the Law of the Commons, published by Cambridge University Press. The essays originally appeared on CSRWire. I am re-posting them here to introduce the paperback edition, which was recently released. Our last essay outlined the great appeal of the commons as a way to deal with so many of our many ecological crises. 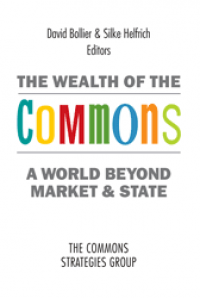 The commons, readers may recall, is a social system for the long-term stewardship of resources that preserves shared values and community identity. 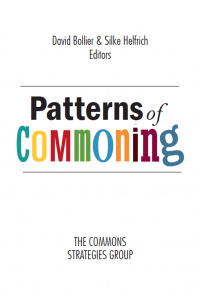 Fortunately, the commons is not just an abstract idea. It’s a living reality, thanks to millions of commoners around the world. People are managing forests, fisheries, irrigation water, urban spaces, creative works, knowledge and much else as commons. In so doing, they are in the vanguard of a new/old trend: using the social practices of commoning as a way to reclaim shared wealth while fighting the predatory behavior of neoliberal capitalism. The global commons movement is not a traditional movement defined by an ideology or policy agenda. It is united, rather, by its participants’ commitment to certain social practices and principles of self-governance; commoners are passionate about self-organizing their own alternative models of provisioning to meet their basic needs in fair, inclusive and participatory ways. Economics in 2009 for her life work showing that commons are in fact a viable, sustainable social system for managing collective resources, especially those of nature. In the late 1990s and early 2000s, a global movement of commoners began to emerge alongside this scholarship, but independent of it. Most of these commons were not academics but, simply, ordinary people trying to defend and assert control over resources of importance to their daily lives. One of the most significant trends was the emergence of millions of commoners using the Internet to share knowledge and collaborate on creative projects. This explosion of digital commons can barely be grasped because it is so varied. It can be seen in Linux and thousands of free/open source software programs; the great international Wikipedia project and its many offshoots; and a burgeoning world of more than 10,000 open access scholarly journals, whose articles are freely available in perpetuity and not restricted by paywalls or strict copyright control. There is a happening remix music subculture, a boisterous video mashup world, and a proliferation of hackerspaces and FabLabs for the Maker movement. The common denominator in each case is an eagerness to co-produce and innovate outside of conventional markets and the state. Not surprisingly, the many tribes of digital commoners began to see that the familiar free-market narrative about “wealth-creation” through private property rights is grievously limited if not erroneous. Sharing and cooperation on open networks are often far more productive than markets, notwithstanding the absence of private property rights, legal contracts and market exchange. Meanwhile, a substantial other universe of commoners has been focused on the stewardship of natural resources, urban spaces, and social community. Many of these commons have been operating for decades and, in some cases, for centuries or even millennia, even in times of drought and scarcity. In Peru, for example, a number of Peruvian indigenous peoples manage more than 900 genetically diverse potatoes as a “bio-cultural heritage” landscape. The Potato Park, as it is called, is a special regime authorized under international law that lets the Peruvian tribes protect genetic knowledge that their ancestors developed over the course of centuries. The Potato Park lets the indigenous peoples protect their crops from the “bio-piracy” of multinational biotech companies who would love to patent the potato genetic knowledge. Lots of people in “developed” countries rely on natural resource commons, too. There are lobstermen in Maine who work together to ensure that no one over-harvests lobsters in a given bay. There are Community-Supported Agriculture farms and permaculture communities that blend their agricultural practices and social ethics with the imperatives of the land. There are land trusts and community forests, and urban gardens and the Slow Food movement. The point in each case is to manage the resources for the benefit of all over the long term, and not just as a short-term input for market profits. All this commoning is no aberration. Worldwide the International Land Alliance estimates that there are an estimated 2 billion people whose lives revolve around subsistence commons of forests, fisheries, arable land, water and wild game. The aberration is the continued neglect of commoning by mainstream economists, who generally ignore the commons or stigmatize it – incorrectly à la Garrett Hardin – as a failed management regime. These attitudes are likely to change in the coming years as commoners around the world begin to find each other and hoist the banner of the commons to defend their resources. A major international conference on economics and the commons hosted by the German Green Party’s foundation, the Heinrich Boell Foundation, gave new focus to the commons in 2010. The energy galvanized by that event also catalyzed a flood of new commons projects, too numerous to itemize. There is, for example, a multimedia educational project known as Remix the Commons, based in Canada; a growing swarm of “commons cartographers” who are developing open mapping projects to help people identify and participate in various commons; and a new initiative to fight genetically modified crops by devising new legal protections for traditional seed-sharing. What makes the global commons movement so robust and exciting is its spontaneous, uncoordinated momentum. Protesters in Istanbul’s Gezi Park carried signs, “Reclaim the commons!” when it was threatened with conversion into a shopping mall. Traditional communities in Africa have developed their own “bio-cultural protocols” to help legally defend their lands and ways of life from neoliberal trade policies. Commoners are not all alike. They have many profound differences in their governance systems, management practices, cultural values, and so on. However, they tend to share fundamental commitments to participation, openness, inclusiveness, social equity, ecological respect, and human rights. 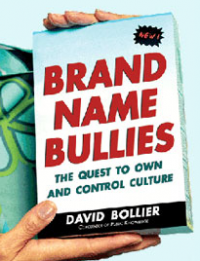 Consumerism, limitless economic growth and maximum profitability are shunned. 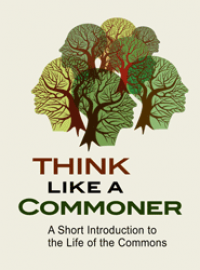 The politics of the commons movement can be confounding to conventional observers because political goals are not paramount (unless the commons is under siege). Also, commoners are more focused on “prepolitical” social activity and relationships, not ideological uniformity. As German commons advocate Silke Helfrich notes, “commons draw from the best of all political ideologies.” Conservatives like the tendency of commons to promote responsibility. Liberals are pleased with the focus on equality and basic social entitlement. Libertarians like the emphasis on individual initiative. And leftists like the idea of limiting the scope of the Market. As Helfrich points out, it is important to realize that “the commons is not a discussion about objects, but a discussion about who we are and how we act. What decisions are being made about our resources?” Does economic activity satisfy basic human needs and honor human rights and dignity? This kind of discussion does not easily map onto the categories of thought used by business people, such as “social responsibility” and the “triple bottom line” (company finances, community well-being and ecosystem sustainability). For commons, the idea of treating their social community or ecosystem as “capital’ is nonsensical because both are interdependent living organisms. The point of a commons is not to quantify or monetize one’s resources or community relationships; it is to experience and enjoy their intrinsic character. So, instead of using dubious quantitative metrics (e.g., “natural capital”), commoners would rather use their own localized knowledge and group judgment to decide what forests or farmland should be “stinted” (limited), and how. They might even decide that certain resources should be made inalienable (not for sale), a concept foreign to growth-minded businesses. At a time when conventional environmentalism and policy advocacy wring their hands about the difficulty of making progress, the commons movement is making important gains that simply cannot be achieved within the straitjacket of neoliberal market activity or policy discourse. 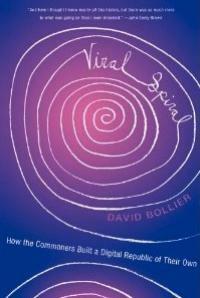 This essay is adapted from Green Governance: Ecological Survival, Human Rights, and the Law of the Commons, by Burns H. Weston and David Bollier Copyright © 2013 Burns H. Weston and David Bollier. Reprinted with the permission of Cambridge University Press.